At this point, the server has to be accessible from the networks you want to manage it from, aswell as the networks your Access Points are going to be installed in (their public IP). Whatever script you use, it has to be run couple of minutes after the let’s encrypt daily script runs in cron, so that if let’s encrypt changes its certificates, so does UniFi. #    on how to generate these files and use them with this script. # backup, restart the UniFi Controller service, and be back online immediately. If everything went smooth, you can access the controller on https://FQDN:8443 and start configuring it with the wizard. ToDo - Test paypal pro and other payment options, maybe someone from other countries could try these? This would be realy nice!. Although I don’t plan to install NS6.8 on my home server. There might be a challenge to get it working on a NS7 server? Added NS 7 in the howto! As soon I have my NS7 server up and running I will give this a go… It might take a few weeks before I come to install NS7 on my homeserver (preferably wait until the final has been released. Has anyone tried hotspot customization and/or payment options for the hotspot portal? Hey @edi for the hotspoting and the payment options. Yes, it does work, i havent tried it on linux yet. But if the controller does go down or can i say the unifi looses the connection to the controller and can still get to the router. You basically have a free and open network, which is and can be nasty… it seems to be a ubiquiti thing. Paypal works I have implemented it and it works like a dream. 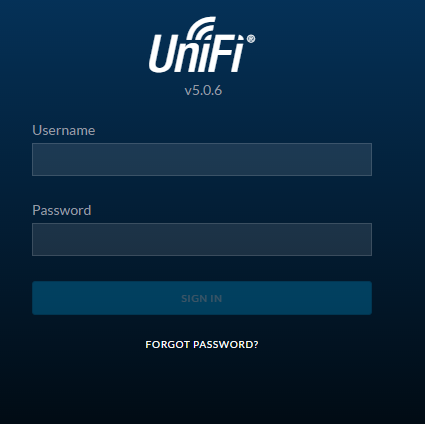 I am trying to follow the howto for ns7 and have a problem starting the unifi service. @edi Any pointers where to look? could you dump your unifi.service file? 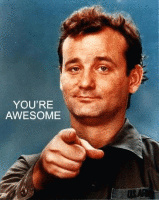 Thnx for the reply. My unifi.service is an exact copy-paste of the lines you posted in the first post. Uhm, almost exact: I created a user unifi so I don’ t start the service with root, but with that unifi user. You get the error when enabling the service (ie creating the symlink to the systemd folder) or when starting it? * Copyright (C) 2013 Nethesis S.r.l. * This script is part of NethServer. I walked the easy admin way: created a Debian container on my proxmox server and installed the unify controller. Worked out of the box. Not really About half an hour of work, one hour if you count in trials and errors because of fails of my memory on some Ansible modules. The Dashboard button was also a ripoff of NextCloud one. Would love to package this stuff, unfortunately if it is based out of an unofficial package outside a repository and I feel very unconfortable to package. Feasible, but ugly. I walked the easy admin way: created a Debian container on my proxmox server and installed the unify controller. Mine is on port 8443. I can’ t remember if that is the default port for the installation. Yes, it is. Opening port 8080 is also needed for the inform URL, for Access Points configuration.